Walking by Henry David Thoreau - "Walking" is an essay written by Henry David Thoreau, . Between 1851 and 1860 Thoreau read the piece a total of ten times, more than any other of his lectures. He considered it one of his seminal works, so much so, that he once wrote of the lecture, "I regard this as a sort of introduction to all that I may write hereafter." Thoreau constantly reworked and revised the piece throughout the 1850s, calling the essay "Walking." Also at this time he was working on another piece called "The Wild." Sometimes he would deliver one of the essays, while at other times he would read the other. Sometimes he would combine the two and call it, "Walking; or, The Wild." 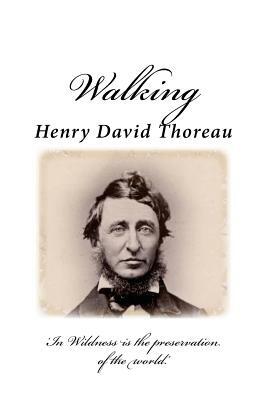 "Walking" was published posthumously after Thoreau's death on May 6, 1862. It appeared in the June 1862 issue of the Atlantic Monthly.